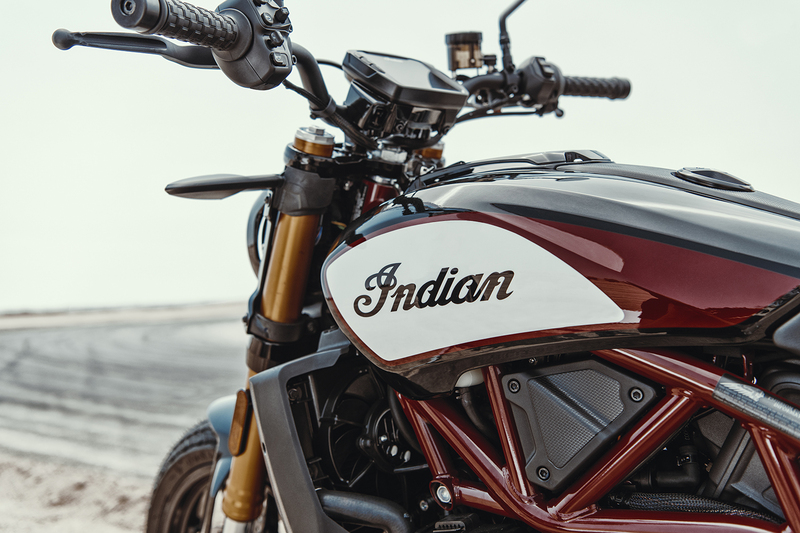 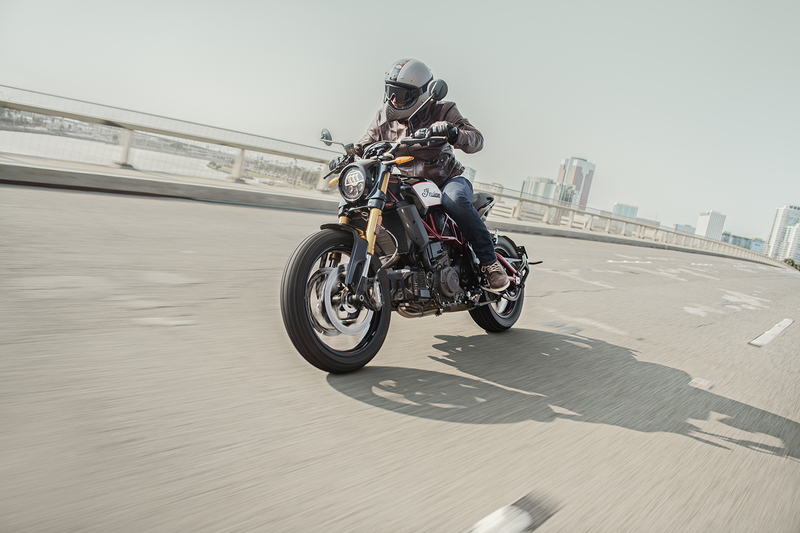 Topline: Indian’s highly anticipated production model inspired by the dominant FTR750 flat track race bike and FTR1200 Custom concept finally makes its official debut, accompanied by a sporty S model to boot. 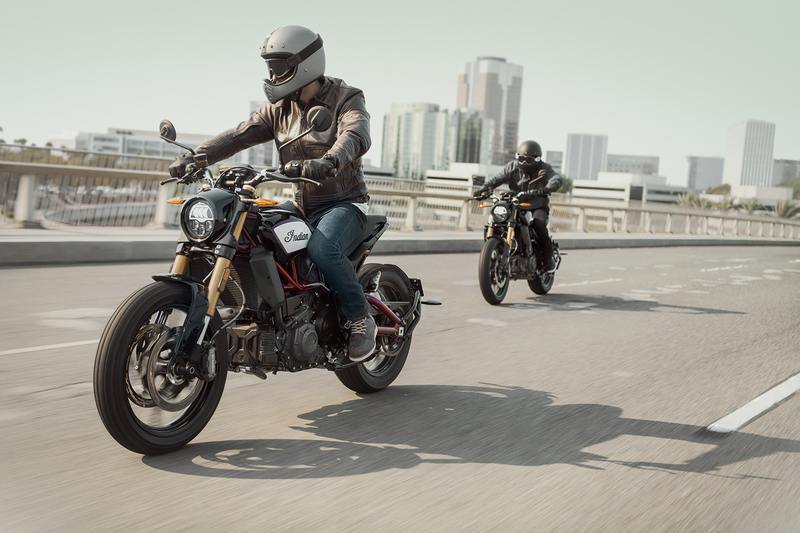 What’s New: The FTR 1200 and FTR 1200 S are all-new for 2019. 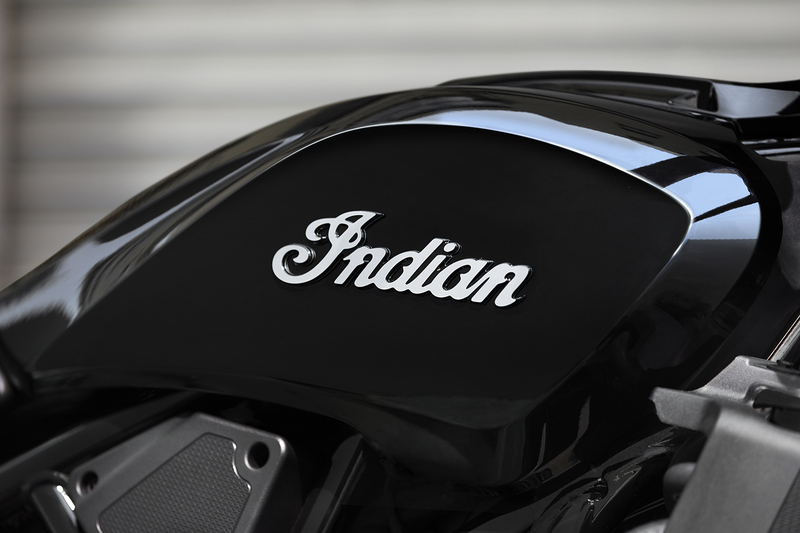 These are very significant motorcycles because they represent the first ones in Indian’s modern history that aren't cruisers. 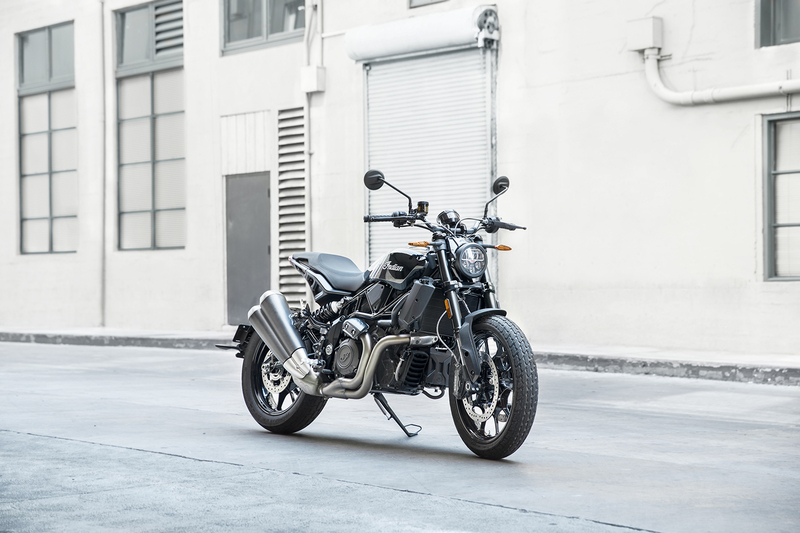 These could be considered standard bikes, naked bikes, or roadsters, offering up a neutral yet sporty riding position instead of the laid-back ergonomics found in the company's other offerings. 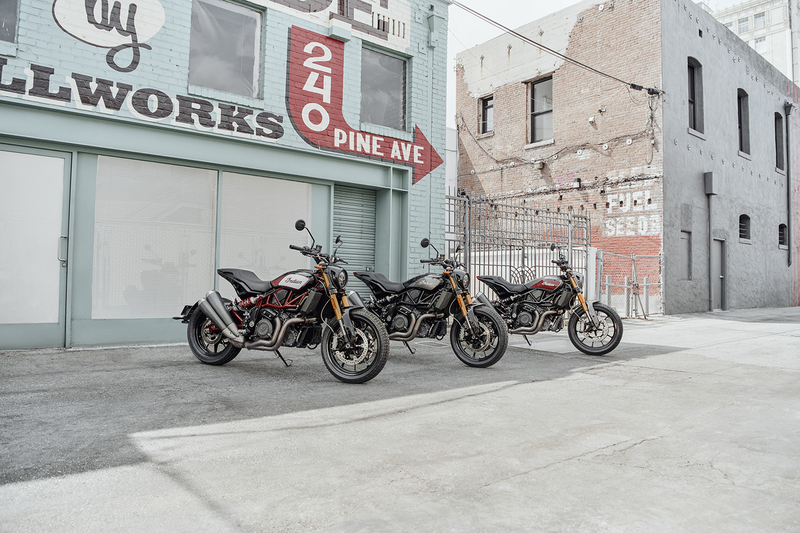 These bikes have an all-new frame and engine unique to the FTR 1200 lineup. 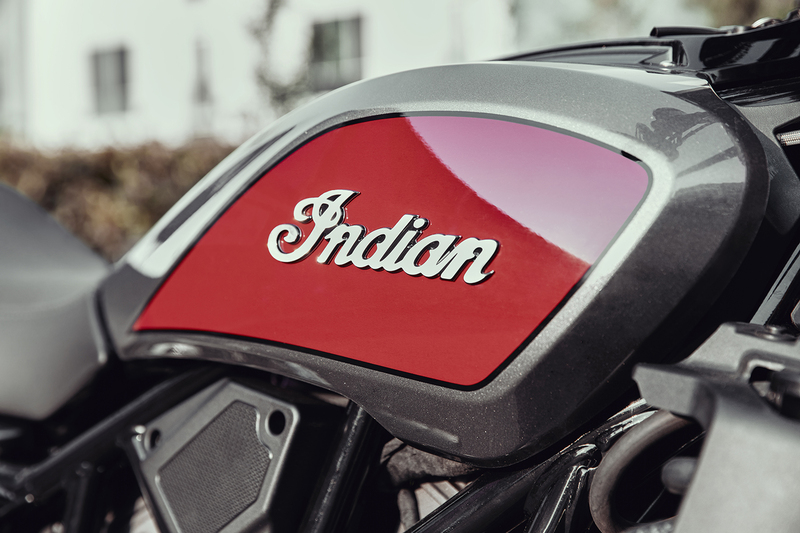 Indian is making it sound like this new modular platform and engine will be the basis of more new motorcycles in the future. 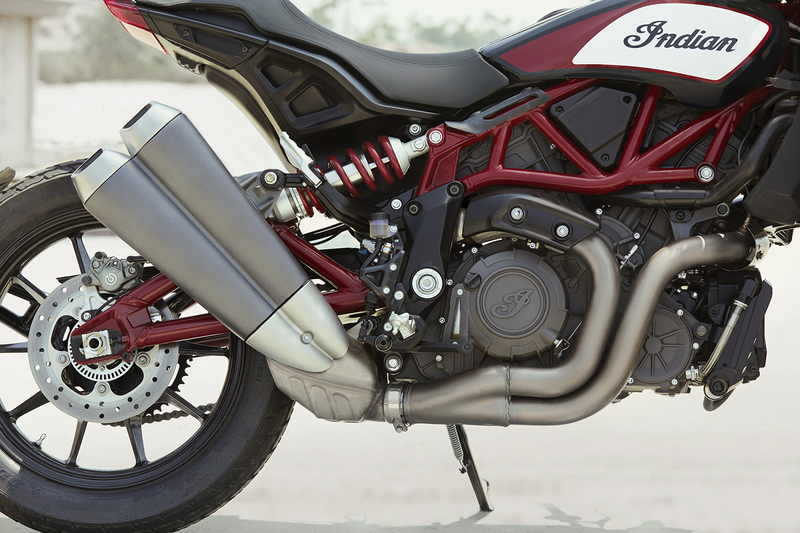 Since pretty much every component of these bikes is brand new, there’s a lot to unpack here. 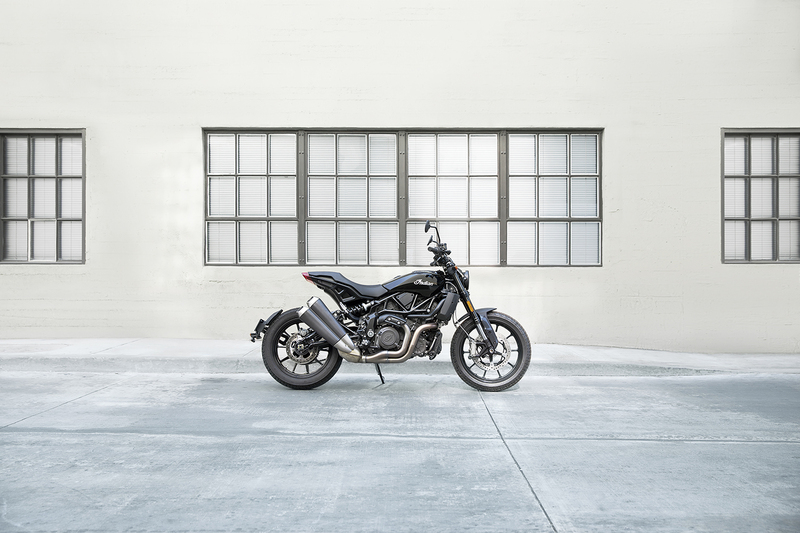 There's a new steel trellis frame and aluminum subframe with an asymmetrical single-side rear shock mount. 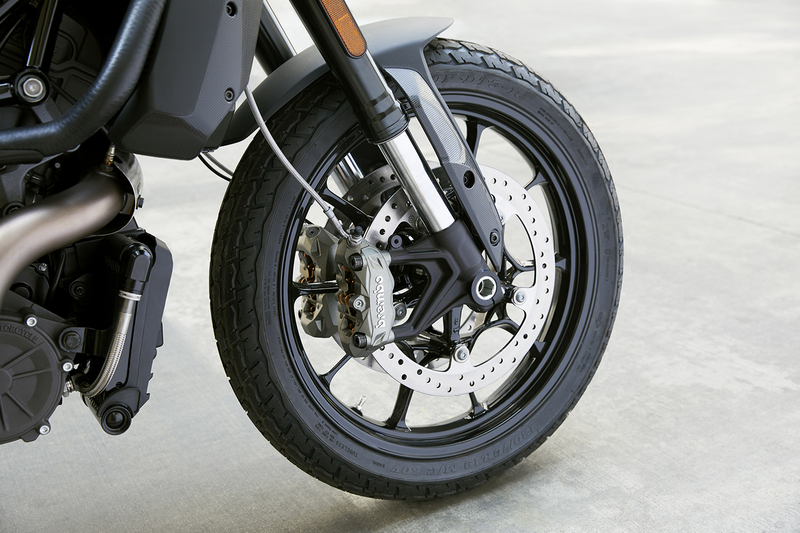 Various aluminum components throughout the frame help keep the weight down; the FTR 1200 coming in at 488 pounds dry, and the S model weighs a single pound more. 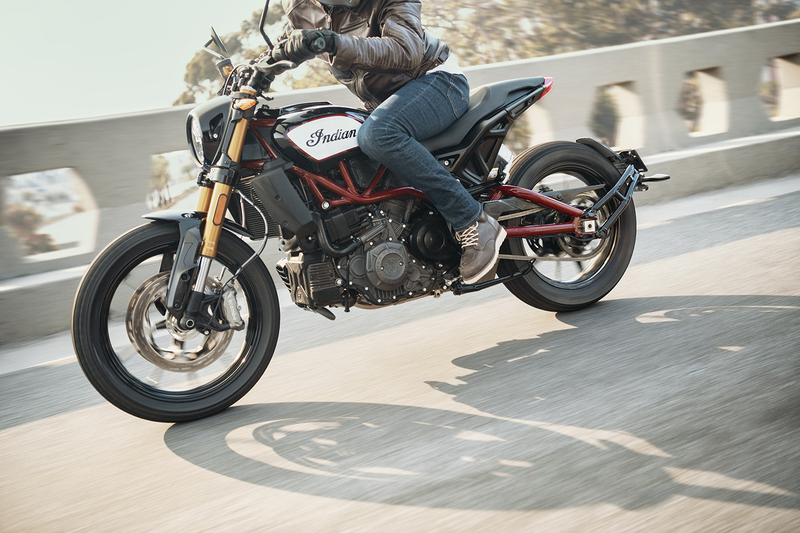 That’s more than 40 pounds lighter than a Scout. 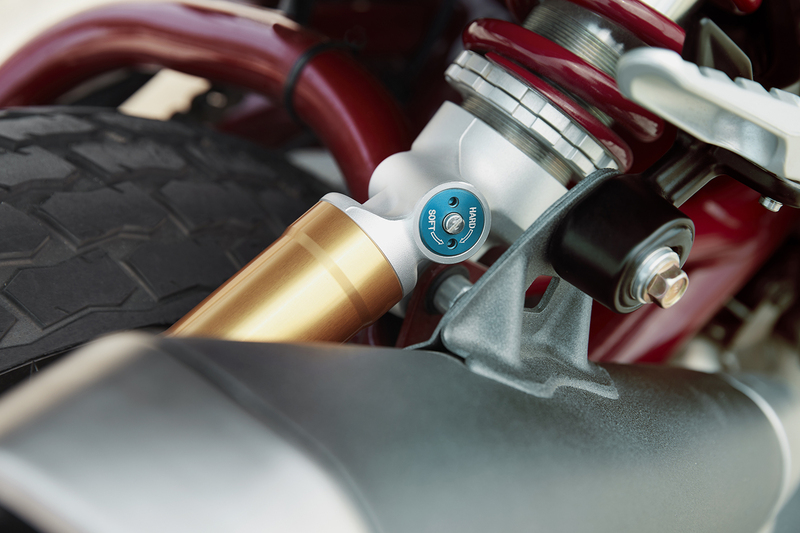 The front suspension is made up of 43-millimeter upside down cartridge forks with 5.9 inches of travel, and the side-mounted rear suspension can move an equal amount. 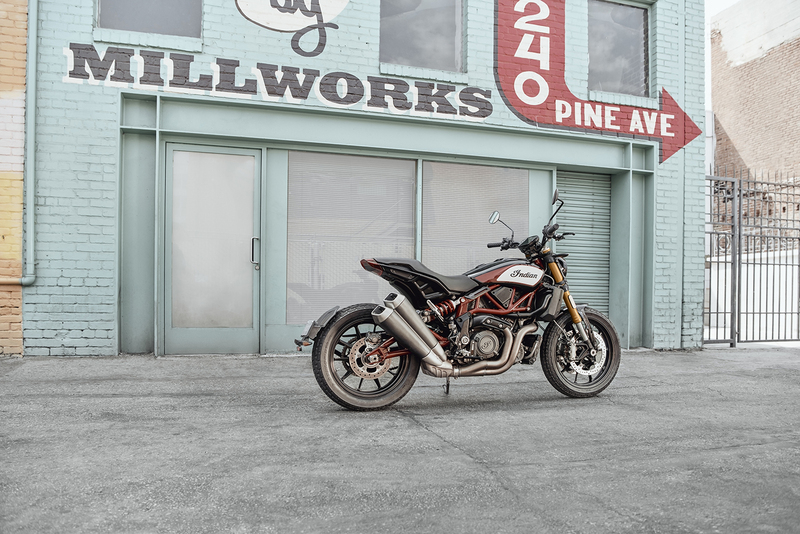 It's here that one of the key differences between the FTR 1200 and FTR 1200 S can be found: the S model has gold front forks (which aren’t Öhlins-sourced) and the rear monoshock has an aluminum piggyback reservoir with compression adjustment. 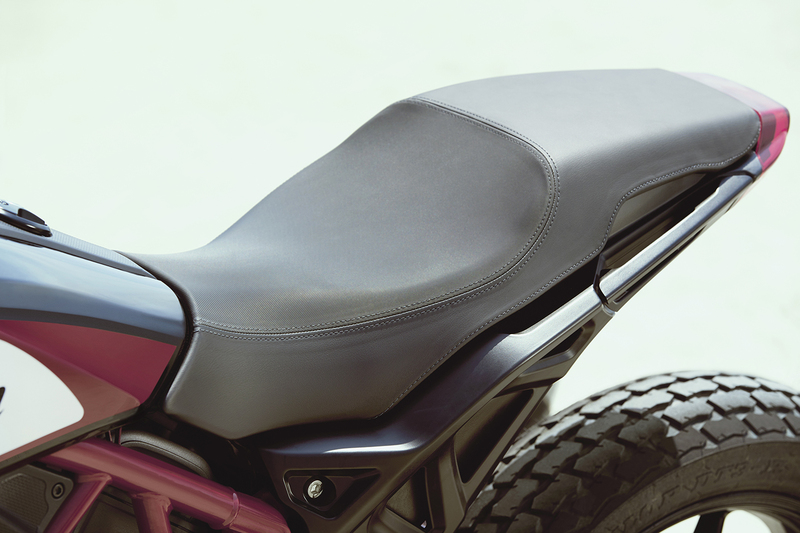 Both models have preload and rebound adjustments in the rear and the S model has adjustable preload, compression, and rebound both front and back. 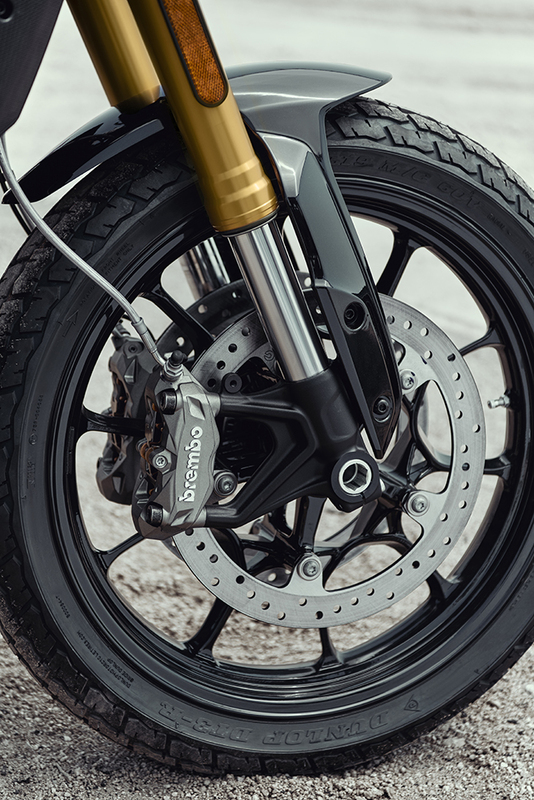 Stopping power comes courtesy of Brembo with a pair of four-piston calipers on the dual-disc brakes up front and a two-piston unit grabbing the single-disc in the rear. 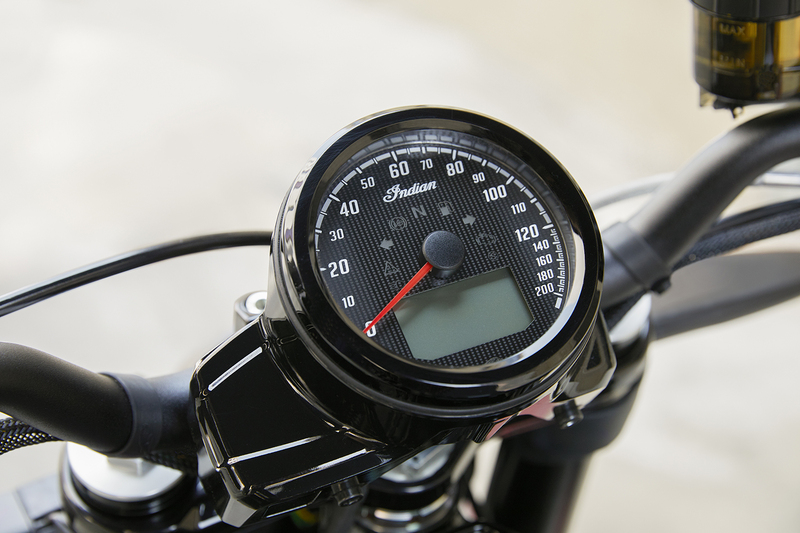 ABS is standard on all FTR models which is always a plus at this price point. 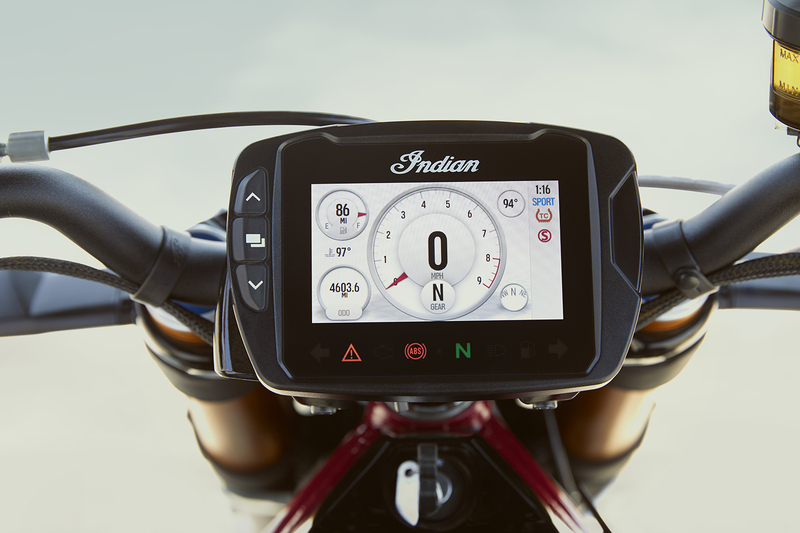 The FTR 1200 gets a fairly normal analog gauge cluster, but the S model gets a customizable 4.3-inch Ride Command touchscreen with Bluetooth. 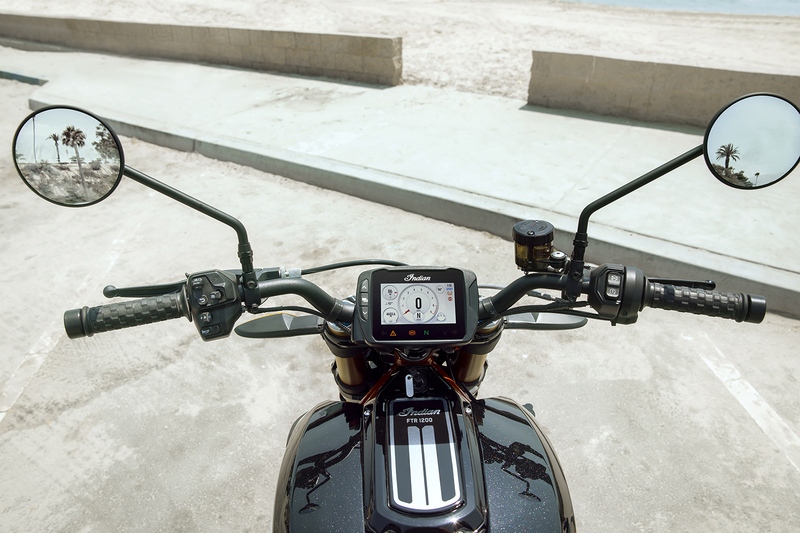 Other perks of the S model include lean-angle sensitive stability control, traction control, and wheelie mitigation control (which will hopefully have an off button in that lovely TFT screen). 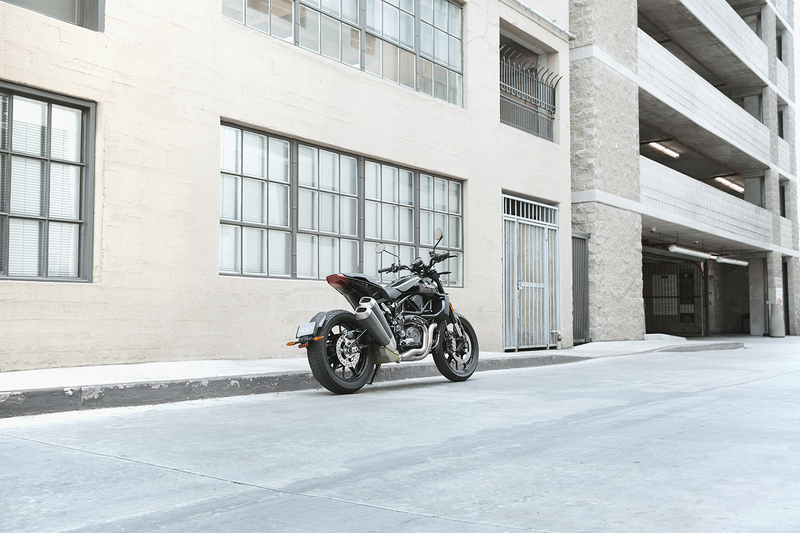 You also get three ride modes with the FTR 1200 S: Sport, Standard, and Rain. 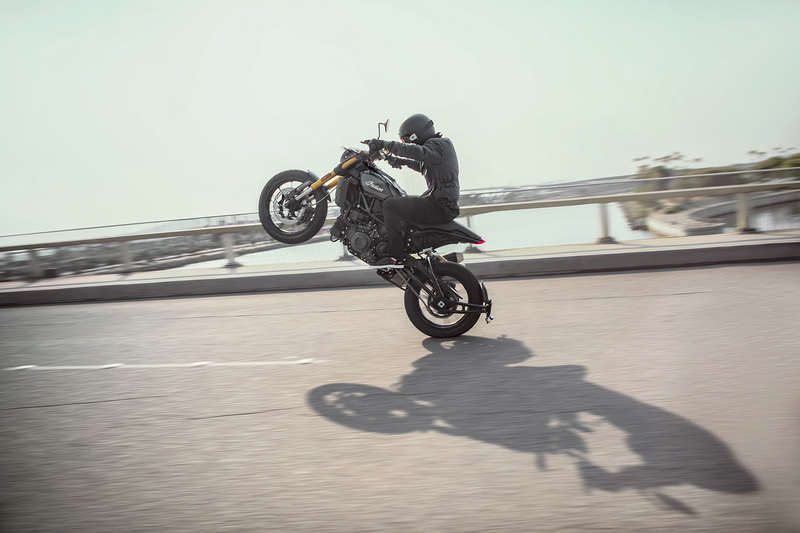 All of the upgrades of the S model like the different suspension and technology should make for a bike that's more fun to ride harder. 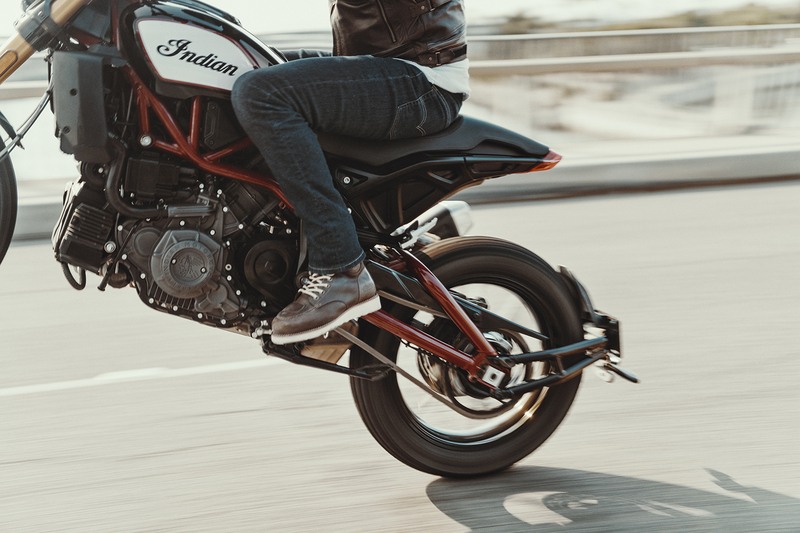 It doesn't get a boost in power or torque, but things like stability control, sport mode, and more adjustable suspension should mean that you can dig in a little harder in the corners and twist the throttle a little more aggressively without worrying if the bike can keep up. 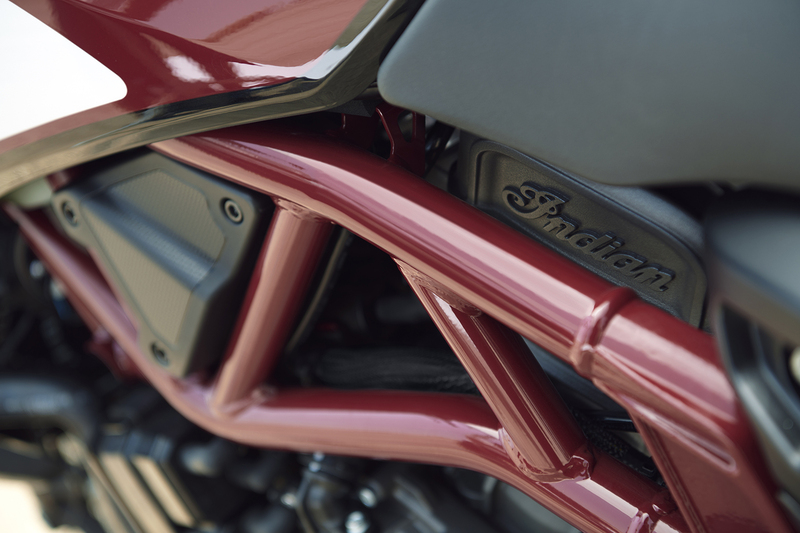 What You Need to Know: Here’s the part where we address the elephant in the room. 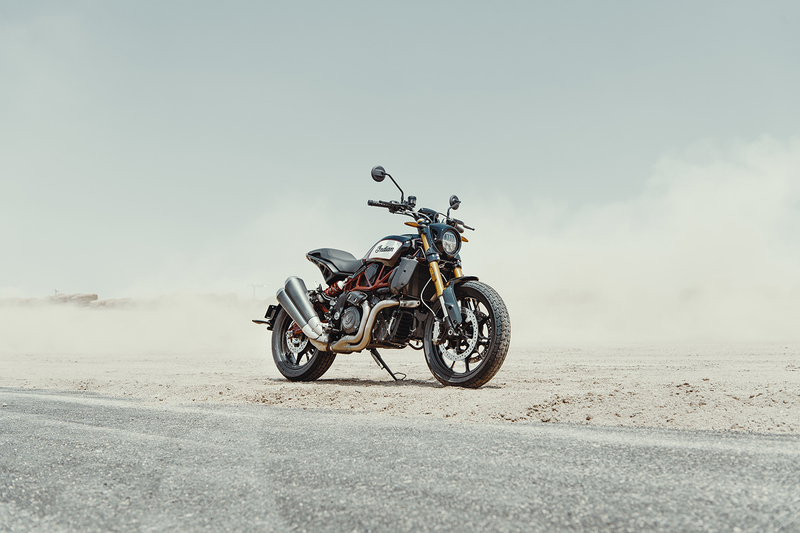 The production FTR 1200 might be a little more different than many had hoped from the FTR1200 Custom concept bike that we all fell in love with last year. 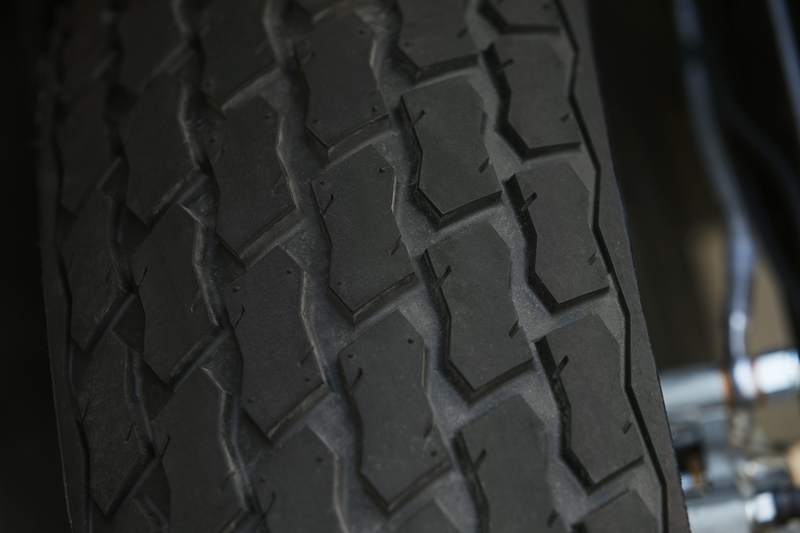 Here’s why that is. 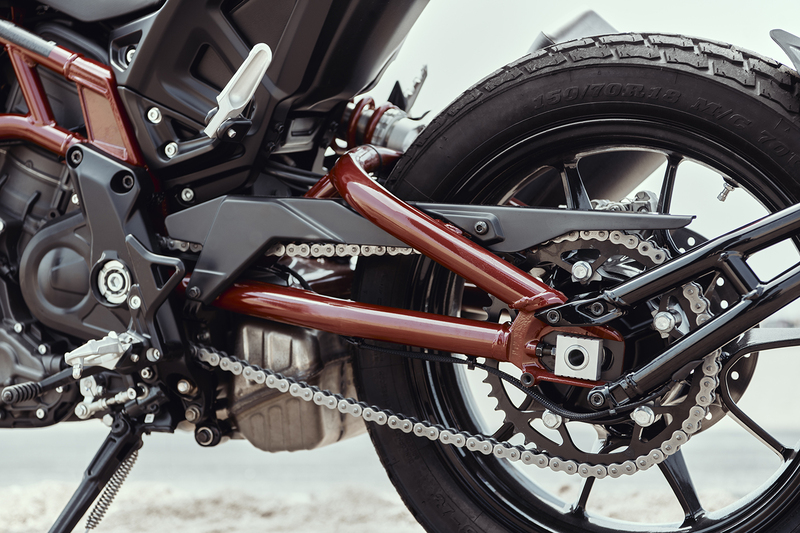 In order to take the FTR from a dream to reality, some obvious changes needed to be made to make it street legal, user-friendly, and reasonably priced. 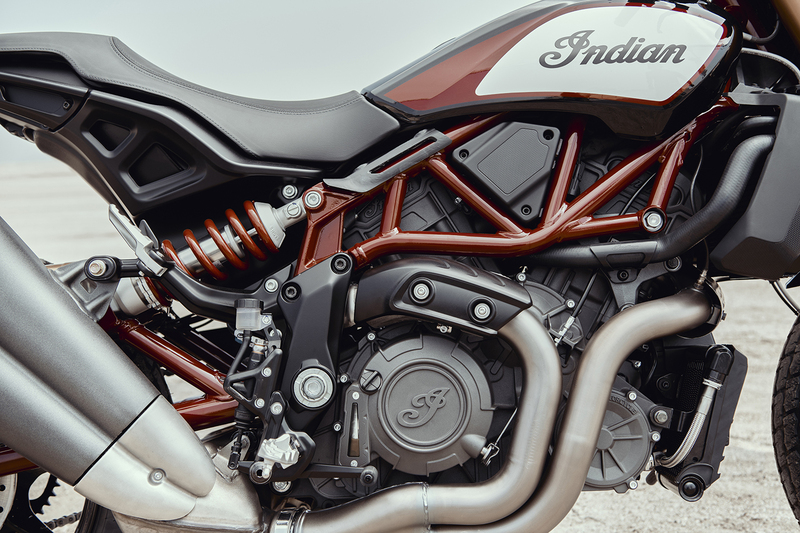 That high exhaust had to be re-routed so people wouldn’t be constantly burning their legs; the seat had to fit two people and be more comfortable for all-day riding; the carbon fiber bits had to go, and so on. 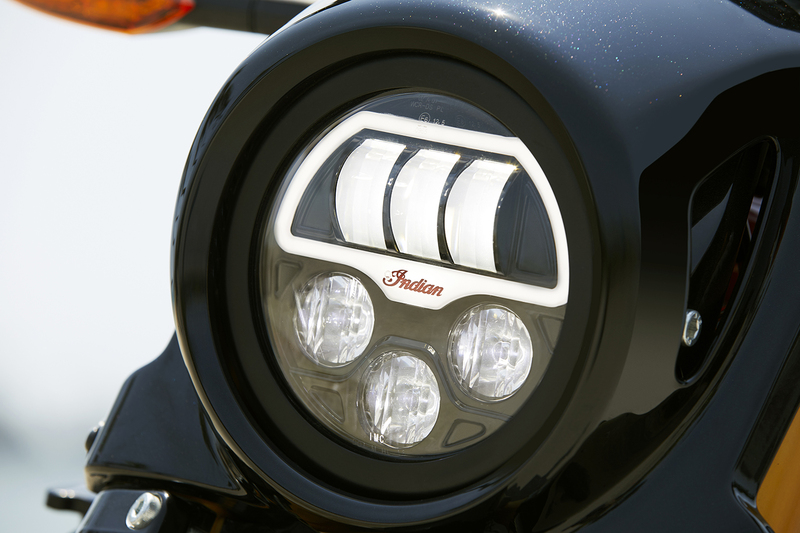 If you wanted Indian to just build the FTR Custom concept and sell it as-is, we’d be talking about a less useable bike that’s at least double the price of what we have here. 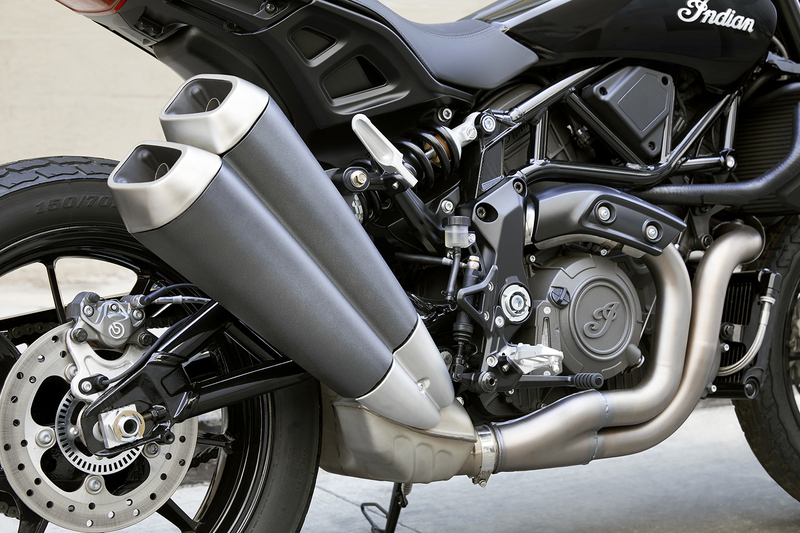 There's a lot to love about the production FTR 1200, at least on paper. 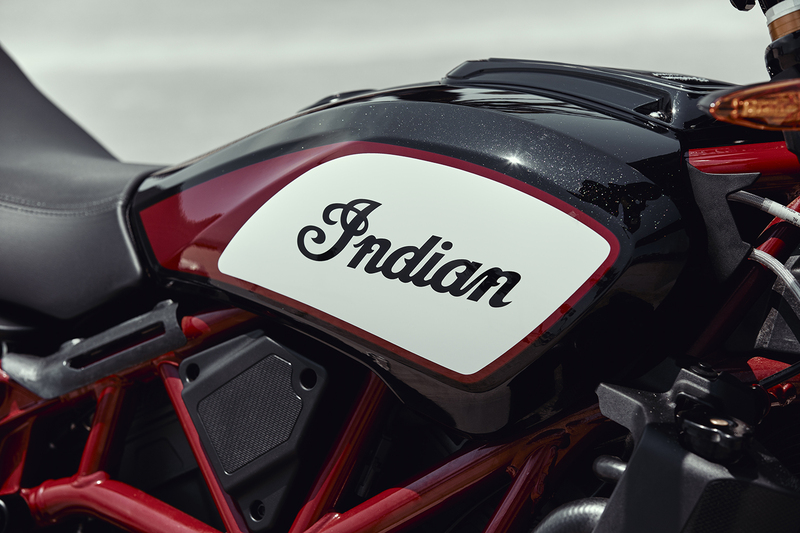 Hopefully, that love will be confirmed when we get a chance to ride one. 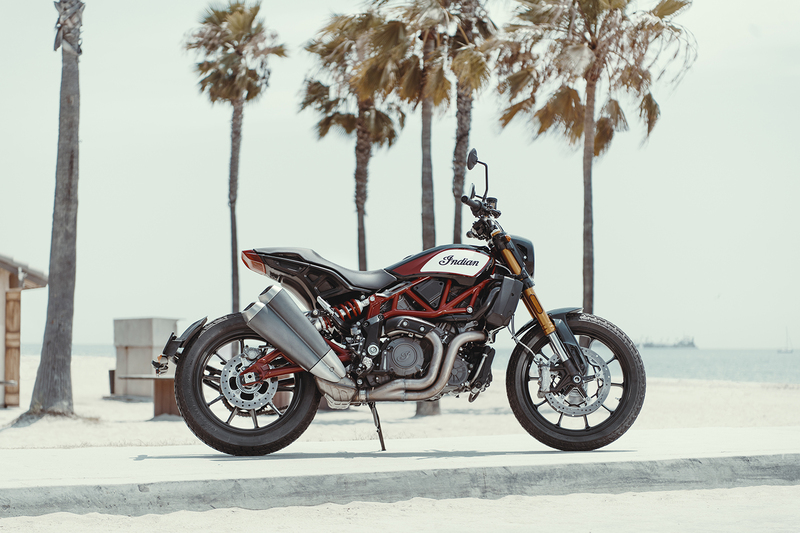 It has the clear flat track inspiration we want with an affordable price and the everyday usability that it needs to be a successful volume bike. 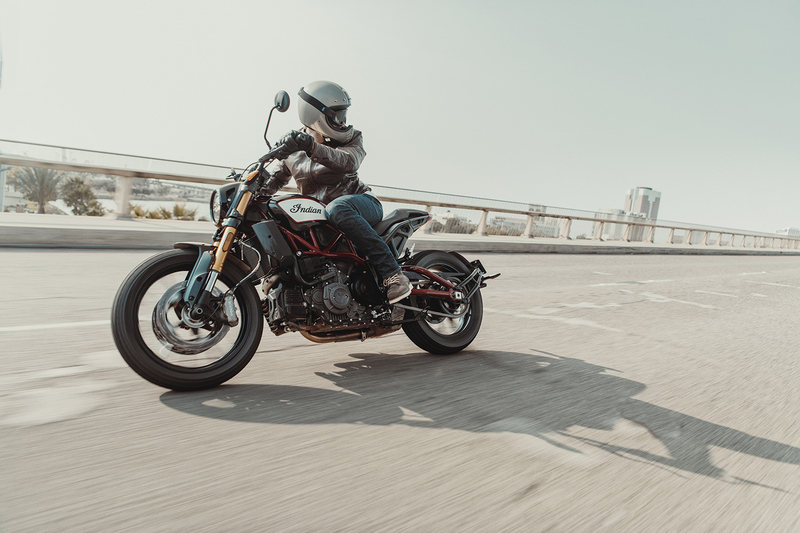 From the styling to the riding position to the price, it seems as if Indian nailed it with the production FTR 1200 despite not looking exactly like the concept. 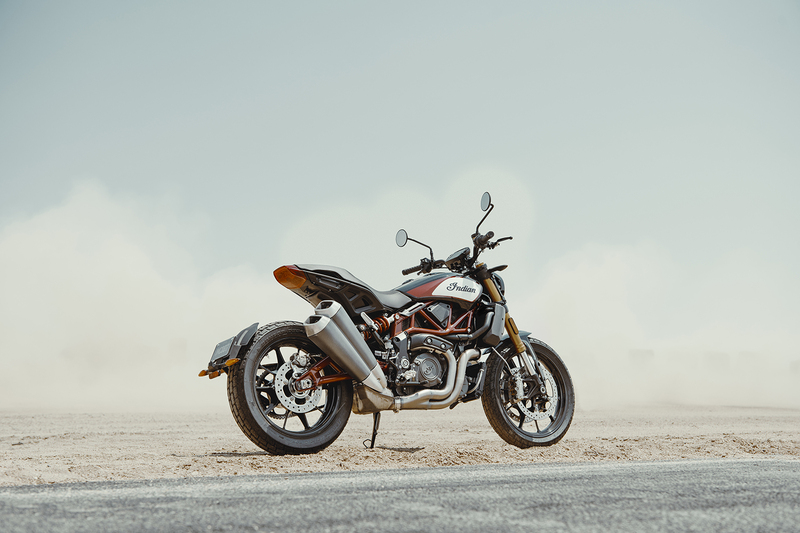 We'll be at the Intermot motorcycle expo in Cologne, Germany this week to get an early look at the production FTR 1200 and its sportier counterpart in the metal. 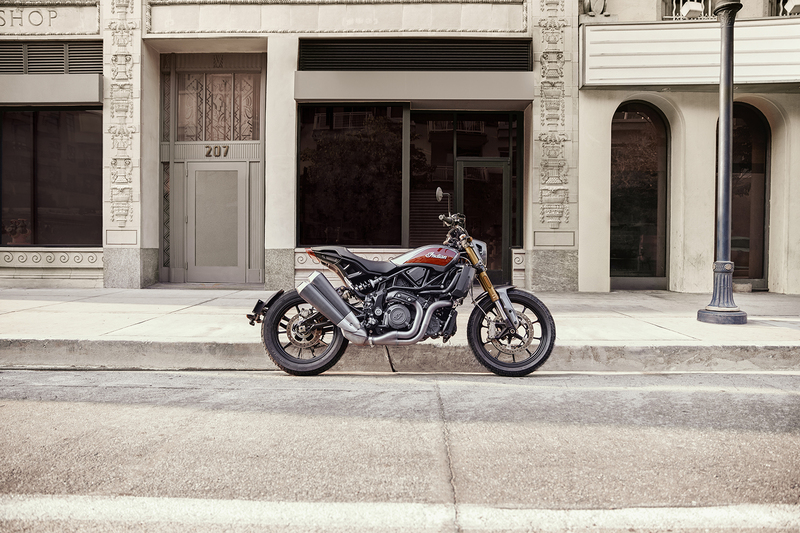 The FTR 1200 and FTR 1200 S will hit dealers in spring of 2019. 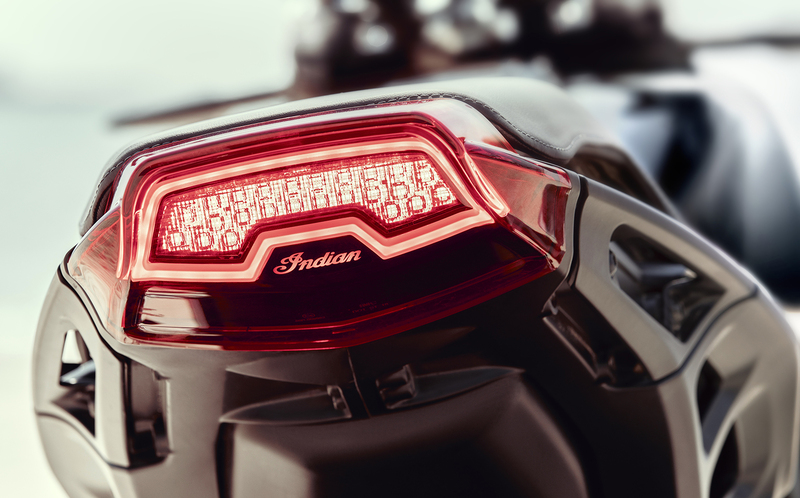 Hopefully, it will be the hit that it needs to be to motivate Indian to continue stepping further outside of its comfort zone and diversifying its lineup with more than just cruisers. 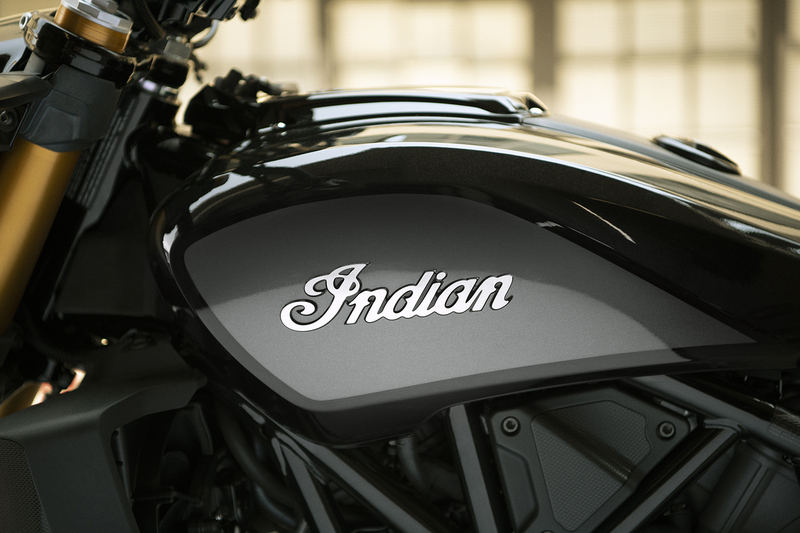 This is our first official glimpse at the production version of the Indian FTR 1200.